When trying to bet on the Western Conference winners you’ll have to take into effect the lockout shortened season and how it will affect teams and how it will also affect your bet on who will be the Western Conference champion. For instance did playing in the AHL and doing well against a bunch of young players who aren’t quite ready for the show help or hurt a players development? Did the time off at the start of the season help an aging veteran player who’s body has already seen a careers worth of wear and tear and a shortened season allow them to play at full speed for the short season? Is the team ready for a gunfight of a season where any and all streaks, winning or losing, will have a major impact on the standings at the end of the year. Did the team make any major roster changes? Will they have enough time to develop chemistry? Was a coaching change made? If so was the new coach hired a coach who will mesh well with the players and the teams style of play? Its a common theme for the Vancouver Canucks to be up at the top of the standings and this year shouldn’t be any different. A super strong team from top to bottom lead by the ridiculously talented Sedin twins Henrik and Daniel, hopefully a bounce back year is in order for Ryan Kesler, as well a deep and strong defensive core that includes Alex Edler, Kevin Bieksa, and the addition of high scoring defenseman Jason Garrison the Vancouver Canucks back end looks all set and on paper amazing. One question mark, if this team has any, is in goal where although not much of an issue with the fact that both Roberto Luongo and Cory Schneider are both capable and deserving of the starting goalie job and figuring out who deserves it might be an issue. And when one of the goalies is inevitably moved the returning player or players are sure to be high end so that will only help in the long run. So is this the year the Vancouver Canucks finally win it all? Or will the goalie controversy be a problem that side tracks their success? It is a safe bet to assume they will at least be challenging for top spot in the west and maybe they strike you as the team that is in fact going to win the West. The Canucks are a solid choice to win the Western Conference, and with odds of 9/2 available at Bodog, which means $100 wins $450, there is great value there in betting the strongest Western Conference team. Bet today at Bodog. When looking to bet on who will win the Western Conference you always have to at least give the Chicago Blackhawks a thought. They have arguably the best group of forwards in the league. Led by one of the most complete players in the world in Jonathan Toews, the slick handed Patrick Kane, under rated Patrick Sharp, Marian Hossa, who was in consideration for the Hart trophy until an injury slowed him down and the continued improvement of young players the really are stacked at forward. But this highly talented team is not without some weak spots and goaltending is number one. With Corey Crawford and Ray Emery the Hawks have two capable goalies but neither took the reigns. Will this be the year that Crawford finally steps up and proves hes a true number one goalie? Only time will tell. Another soft spot for the Chicago Blackhawks is they don’t have a true second line center which forces both Patrick Sharp and Patrick Kane to be moved from the wings to play center at any given time. But they are healthy now and hungry to repeat their success from 2010 and we’re getting very generous odds of 13/2 available at Bodog. They won the cup last year and had virtually no players lost so this team is back and ready and it’ll be a safe bet to assume that they will be challenging for top spot in the Western Conference. Having limped into the playoffs last year they shouldn’t have surprised anyone when they won the cup. The LA Kings have an incredible list of players and a think with more time together as a team they will only be as good if not better than last year. Mike Richards, Jeff Carter, Justin Williams , Dustin Penner and Dustin Brown are a few of the forwards they have that are capable of being 1st liners on almost any other team in the NHL. Drew Doughty leads the defensive core that also includes Willie Mitchell and Rob Scuderi and as a group are very solid from 1-6. In goal the Los Angeles Kings are in the same boat as the Vancouver Canucks are and that’s that they both have two goalies capable of being starting goalies on many other teams with Jonathan Quick and Jonathan Bernier. So once they address that issue I’m sure the returning player will only help this team. But as we have all seen having repeat success in professional sports is a rarity and the Los Angeles King may be no different, but with this being a 48 game season this year isn’t like other years so maybe they will do it and win again. Whether or not they win the Stanley Cup – they should be considered around 4/1 to win the Western Conference. However you can actually bet the LA Kings to win just the Western Conference at 13/2 at Bodog right now which is a steal. Now for two teams who, although not as strong as the above teams, still have a shot to challenge for top spot in the west and should at least be considered when looking to bet on who the Western Conference winner will be. Please consider these NHL Western Conference Winners 2013 Betting Tips long-shots but they also present great value. No that’s not a typo, this year the Edmonton Oilers could challenge for top spot in the Western Conference. During the lockout some of the teams stars, being young enough still, went and played for the Oilers AHL affiliate the Oklahoma City Barons and together tore up the league. Taylor Hall, Jordan Eberle, 1st overall pick Nail Yakupov, Justin Schultz are just a few of the tremendously talented youngsters this team has. The Oilers are sure to take advantage of a short season and throw in return veterans Ales Hemsky and Ryan Smyth and this might be the time for this team to get back to the glory days of Messier and Gretzky. But might it be asking too much for such a young team to take such a leap? You can bet the Oilers at 9/1 to win the Western Conference at Bodog which is tremendous value and something I would be betting. The Minnesota Wild had a great start to the year last year being up towards the top of the standings until they came back down to earth so to fix the problem they went out and grabbed two of the biggest free agents on the market in Zach Parise and Ryan Suter who are sure to stregthen a roster that already includes Dany Heatley, Mikko Koivu, Devin Setoguchi, Pierre-Marc Bouchard, Tom Gilbert Niklas Backstrom and Cal Clutterbuck. But will the two big name free agents be enough to help carry the wild to the next level? This one is a bit of a risk. With 9/1 odds on the Wild I don’t think it’s a worthwhile bet. I would avoid this one. Led by superstar Jarome Iginla the Calgary Flames are headed in the wrong direction and would benefit from a complete roster makeover which would mean trading away Captain Jarome as well as goalie Miikka Kiprusoff. Also players that the Flames could trade away for picks and or younger players include Mike Cammalleri, Jay Bouwmeester and Marc Giordano. But being a short season the Calgary Flames may surprise everyone and contend to try and help get Iggy to the playoffs. At 25/1 odds, I think it’s worth a small bet. The 25/1 odds are currently available at Bodog. So hopefully these tips gave you the help you needed in determining who to bet on to win the Western Conference this year. 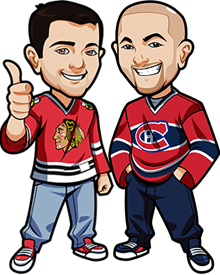 For the best overall Western Conference Winners Betting Odds, be sure to sign up with Bodog and I hope you enjoyed my NHL Western Conference Winners 2013 Betting Tips.